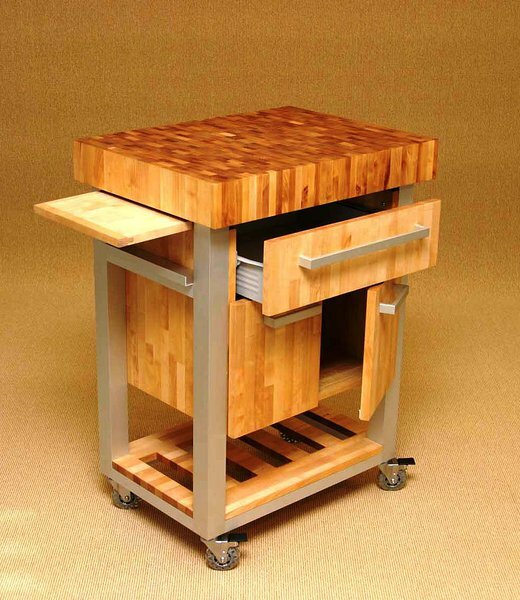 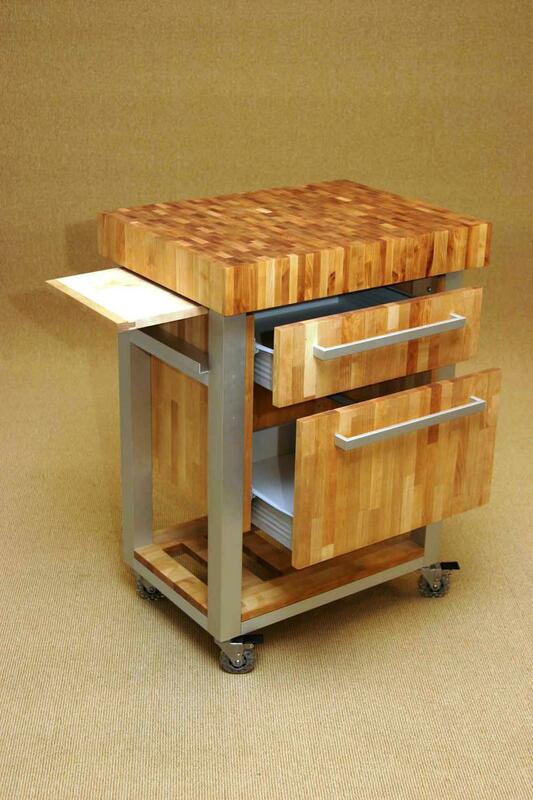 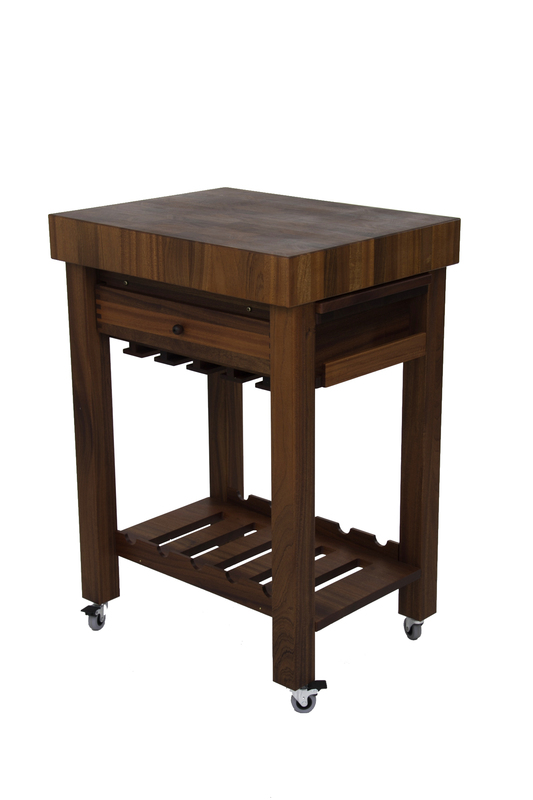 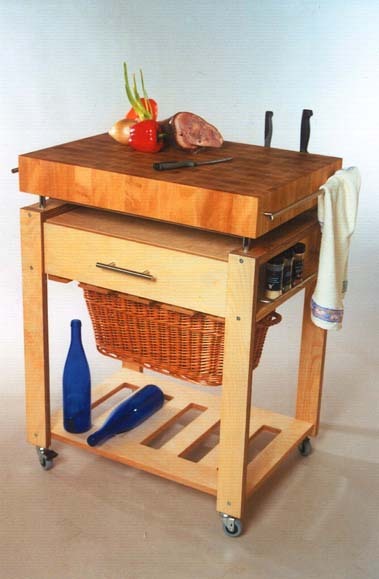 Regardless of the size or menu of the kitchen, our kitchen trolleys suit there ideally. 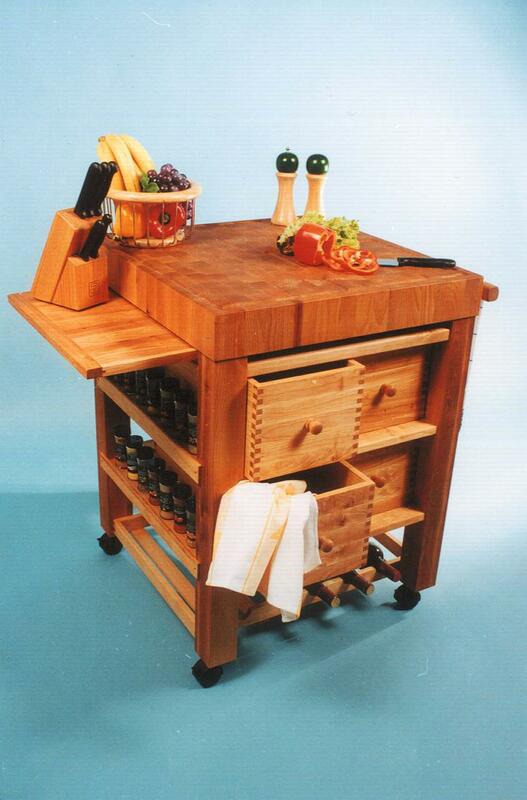 The main characteristic of our kitchen trolleys is the way they are manufactured: small wooden blocks that have been glued together (up-blocks). 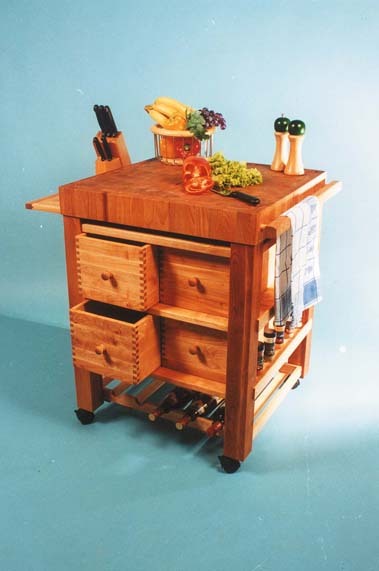 That gives the kitchen trolley its durability and a unique appearance. 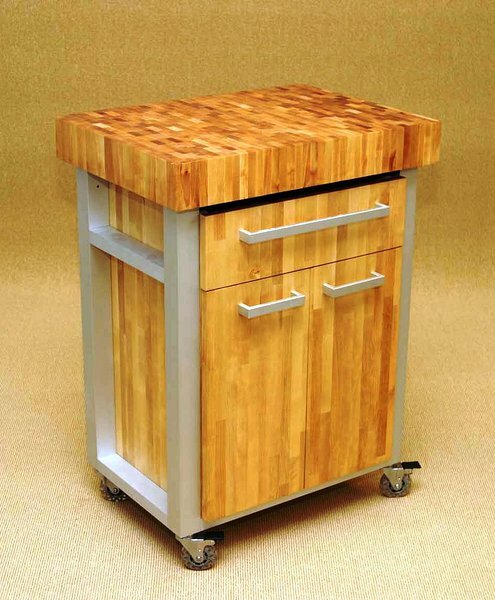 In addition to cutting and slicing, our kitchen trolleys also allow you to bone meat or chop frozen goods, i.e. 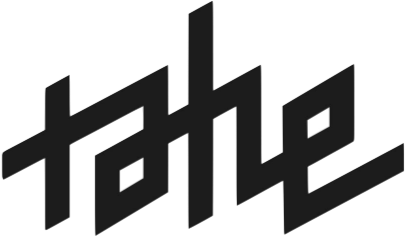 get rough. 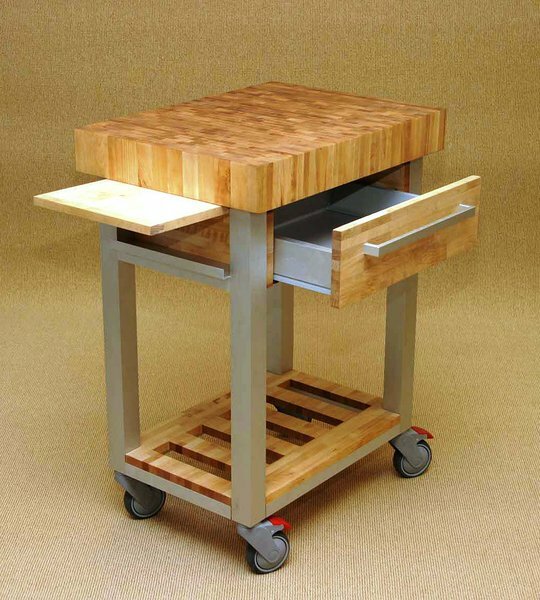 Depending on the model, each kitchen trolley has a special knives holder built into it and also a drawer for kitchenware, making the food serving process easier, be it there's a professional or a semi-professional preparing the meal. 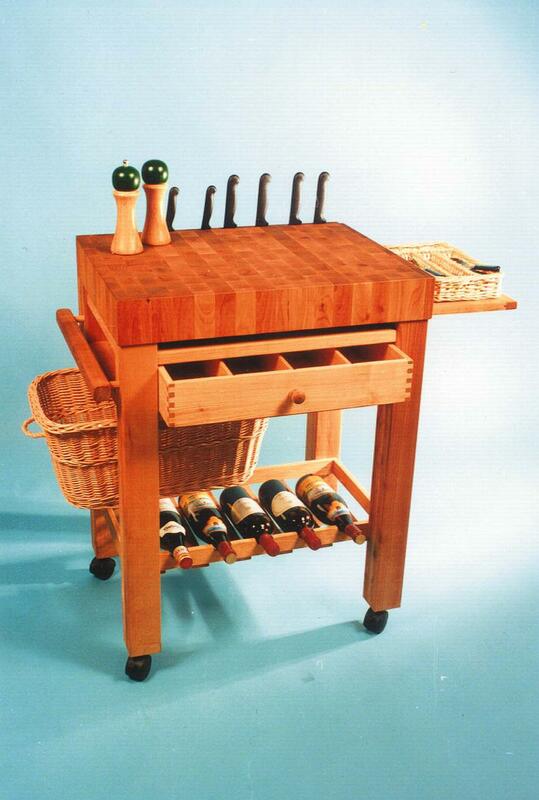 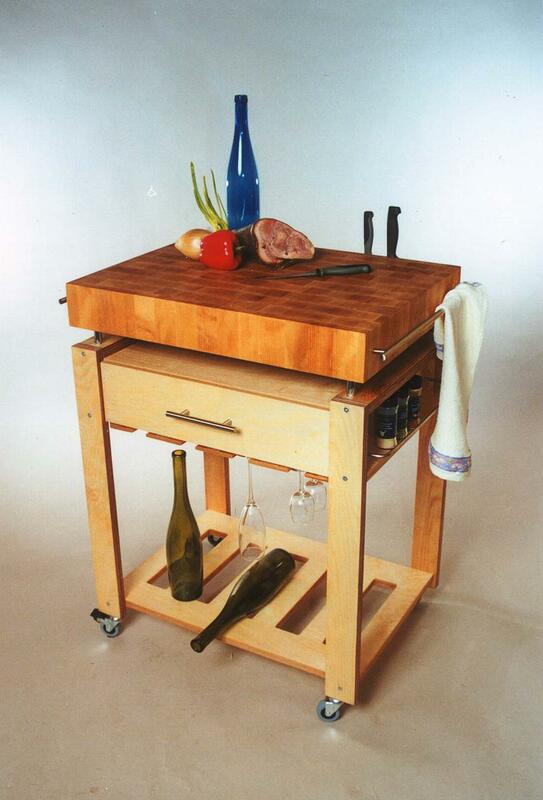 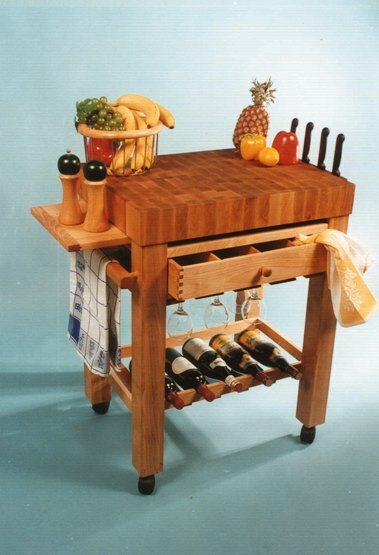 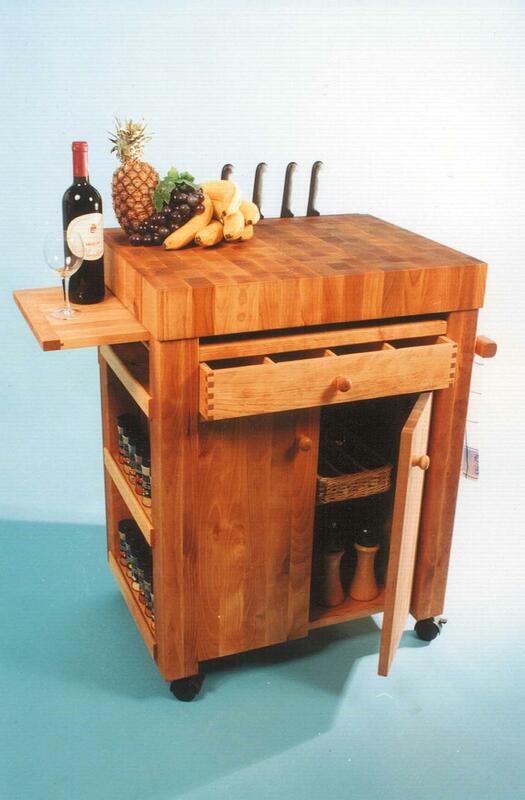 The kitchen trolley also has a small wine rack and glass holders, transforming the cooking surface into a small minibar. 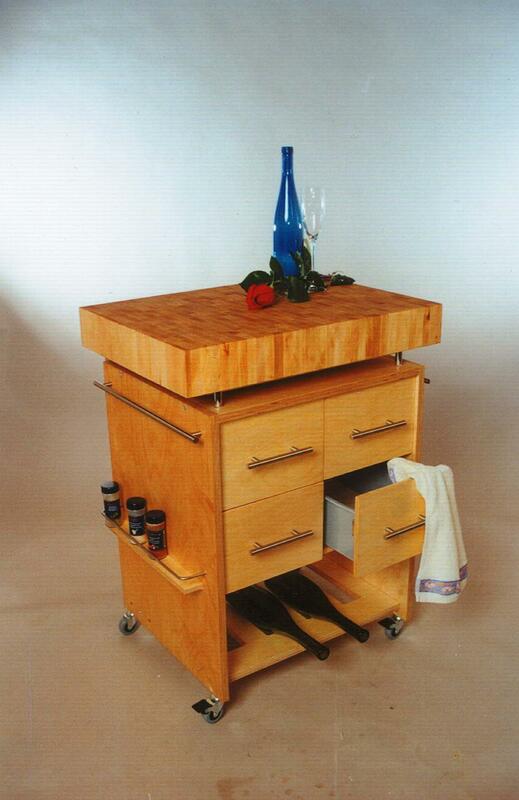 The durable rubber wheels attached to the trolley, make its moving easy.